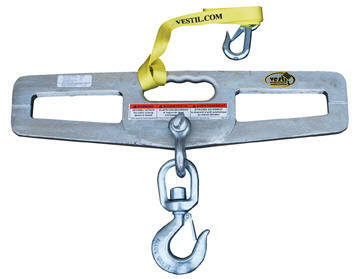 Hook Plates (6000 Lbs Cap) Hook plates enable any fork truck to safely lift a load using chains, cables, or slings. Features slanted for openings measuring 61/4" wide by 1 1/3" high to prevent the hook plate from being used upside down. Ahook with anchor shackle is included. Fork Extensions - Fork Width 4"